Mast cells. Coloured scanning electron micrograph (SEM) of human mast cells. 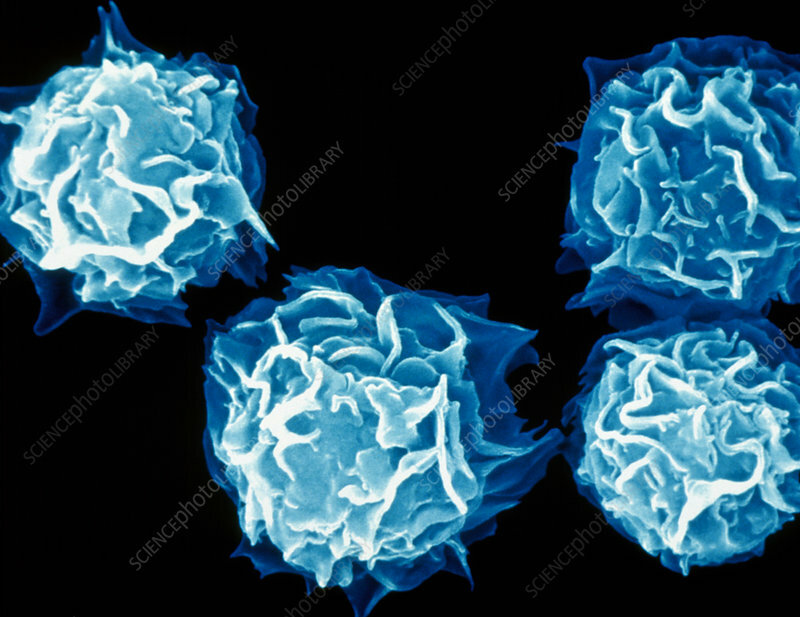 These are leucocytes (white blood cells) which contain the chemical mediators histamine, serotonin and heparin. Mast cells are part of the immune system, and release their contents during a localized inflammatory immune response to invading pathogens and during an allergic reaction. Histamine and serotonin cause the symptoms of allergies. Heparin is an anticoagulant which may prevent the formation of blood clots between the body's cells. Magnification: x3060 at 6x8.5cm size.